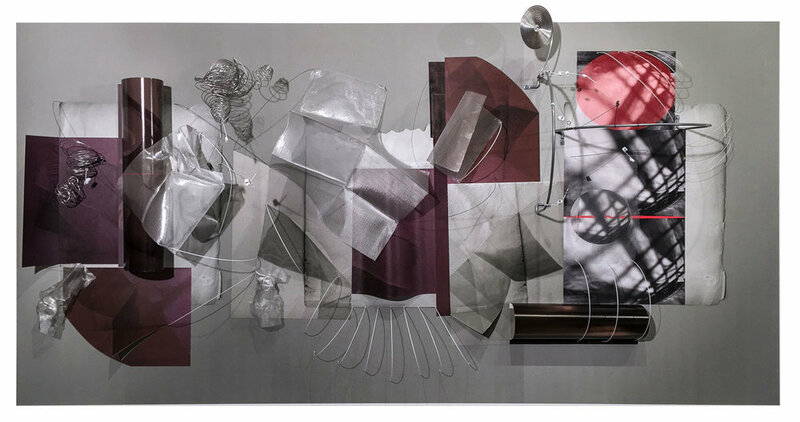 Fredric Snitzer Gallery is pleased to announce Rebus + Diversions by María Martínez- Cañas, a new body of work featuring a selection from twenty assemblages. Throughout her career, María Martínez- Cañas, whose practice has been distinguished by questioning conventional practices of photography, tests the boundaries of the image in her new series by weaving together personal memorabilia and art historical references. Each pictorial plane reads like a rebus: an allusional device in which words are represented by a combination of pictures, letters, and other materials. Each work is the chapter of a saga, revealing Martínez- Cañas’ playful engagement with narratives involving origin, perception and identity, even as she questions the creative sources of her art. Martinez Canas traces back influences drawn from the archives of curator and critic Jose Gomez Sicre, a personal friend of the family whose archives Maria received as a gift from her father. References that appear in the imagery include Victor Vasarely, Enrique Moret, Maríano Rodríguez, Antonio Gattorno, Mario Carreño, and Agustin Fernández. Martínez-Cañas’ earlier tendency to control the placement of subjects appears disrupted. This series reveals her intuitive, aleatory, yet highly deliberate process. Her ability to unify imagination, rationality, and passion results in the optic Proustain tale that is Rebus + Diversions. Martinez-Cañas lives in Miami where she is a tenured professor at the New World School of the Arts. She studied at the Philadelphia College of Art and received an MFA from the School of the Art Institute of Chicago. Her work is in numerous public collections including the Museum of Modern Art, the Whitney Museum of American Art, the Walker Art Center, the New York Public Library, the Perez Art Museum, the George Eastman House, the Philadelphia Museum of Art, the Los Angeles County Museum of Art, the Museum of Fine Arts, Houston, and many others. She is a recent recipient of the Pollock-Krasner Photography Fellowship.